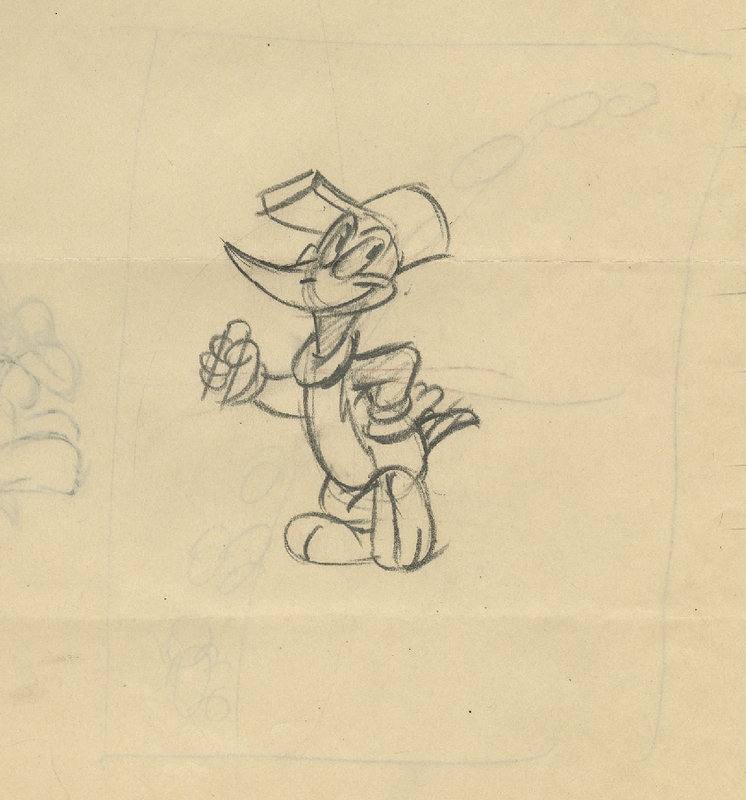 This is an original Grim Natwick production drawing from the Walter Lantz Studios production of the 1945 Woody Woodpecker short, Woody Dines Out. 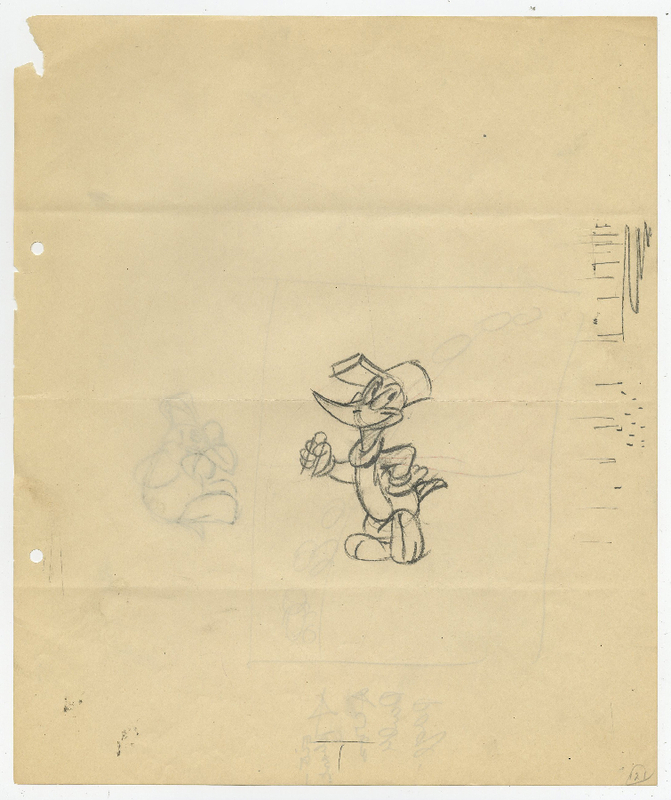 This drawing features Woody dressed to appear as an elevator operator, and was created at the studio and used during the production of the short. The overall measurements of the piece are 12.5" x 10.5" and the image itself measures 3.5" x 2.5". The drawing is in good condition with some wear, creasing and discoloration.